What's the source of your inner strength? My body is a weapon! Do you feel like an old soul or a new soul? 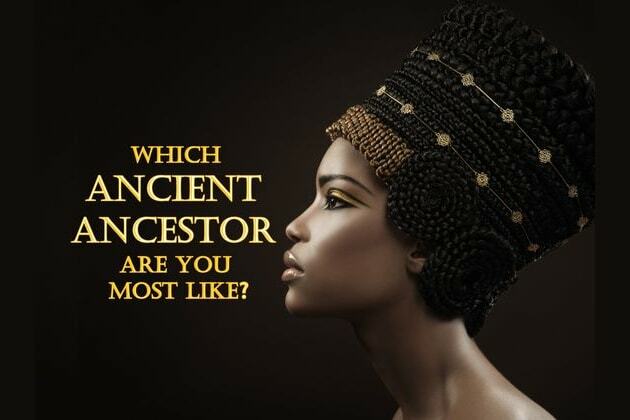 You are most like your ancient Roman ancestor! Your direct ancestor was a great Roman general who, when up against all odds, conquered vast stretches of territory and returned to Roman with great riches. You are a creative and sly thinker, with the ability to move mountains to get what you want! You are most like you ancient Greek ancestor, who was a great thinker. You could be descended from Aristotle himself! Like your ancient ancestor, you are a profound thinker with a unique and revolutionary way of seeing reality. You're logical, grounded, and truly a free thinker. You're most like your Renaissance ancestor, an artistic genius! Could it be? Are you the direct descendant of Michelangelo? Da Vinci? Raphael? Just like your ancestor, you are a creative spirit far ahead of your time. You have the fantastic ability to transform your ideas into reality. You live in a world of dreams, but once you turn those dreams in reality, everyone is blown away by your incredible talent.